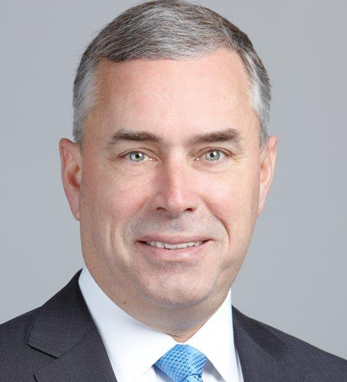 Jim Flanagan is the U.S. managing partner and vice chairman for PwC focused on identifying and maximizing PwC’s operational strengths, creating an enhanced experience for employees, and developing stronger relationships with stakeholders. His previous roles included serving as east region vice chairman, Client Service; U.S. leader of PwC’s Financial Services practice where he was also part of PwC’s global financial services leadership team; and leader of the U.S. Transaction Services business (M&A/Deals). In all these roles, Jim’s goal was the development of committed relationships between clients and PwC for a broad range of assurance, tax, and advisory services. Jim serves on the board of the Ronald McDonald House of New York and is an active supporter of the Children’s Medical Research Foundation in Dublin. His parents are from Armagh and Galway and he says, “Their core values of hard work and commitment to family are what define me.” He loves to visit Ireland and take on its links golf courses. Jim and his wife, Kathy, live in Lloyd Harbor, NY and have three children.